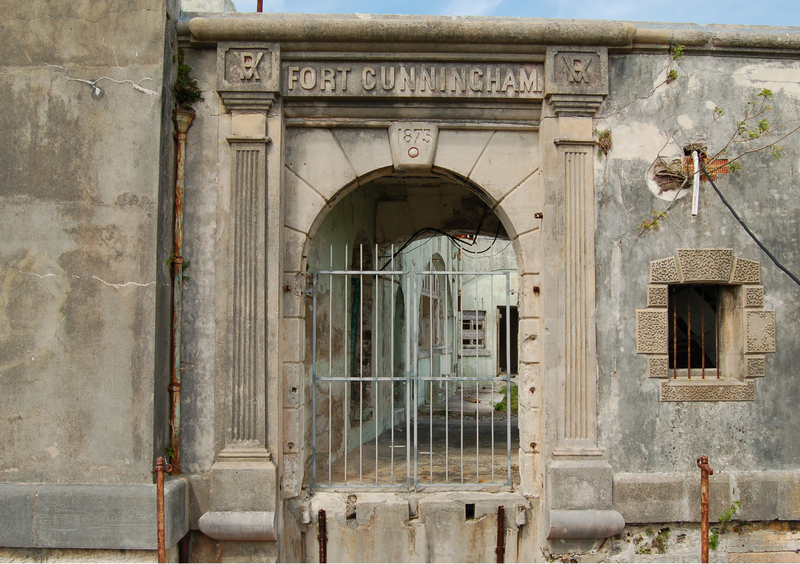 Fort Cunningham was manned in 1612 and used to defend the main ship entrance for St. George's Harbour at the time. The fort was used as a prisoner of war camp during World War II for some Germans or Austrians. Fort Cunningham is deteriorating and is not accessible to the public. Photo by Konrad Glogowski.